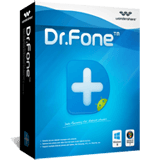 "Wondershare 1-Click PC Care, a powerful PC tune up utility totune up your PC and let your PC run like new again. This PC tuning software is able to auto diagnose and fix PC slowdowns, clean up junk files, optimize computer performance, speed up PC, spare you from the hassle of computer freezes and crashes, safeguard your privacy, etc. To get a fast, stable and secure computer, what you need to do is only 1 click." "Download online videos, convert videos on Windows freely and Effortlessly; Download videos easily from YouTube and other websites, like Metacafe, Google video, Yahoo Video and so on. Convert HD & standard videos to popular video formats, like MP4, AVI, WMV, etc. To fit on devices perfectly, convert videos directly to devices, like iPad, iPhone, iPod, PSP, etc. System Requirements: Windows XP/Vista/Windows 7." "Download online videos, convert and manage videos freely and easily; Download videos from YouTube and other video sharing websites, like Google Video, in batch. Download HTML5 videos from YouTube, FaceBook, Vimeo and Dailymotion easily. Convert HD & standard videos to all kinds of video formats and fit them on devices; Diretcly share videos to Facebook and Twitter with one click! System Requirements: Mac OS X 10.5 or later." 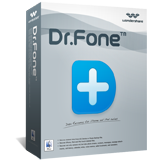 "Recover your lost data from overall data loss situations; Fully recover documents, archives, emails, photos, videos and audio files. 6 unique recovery modes to thoroughly recover your lost data. Preview function lets you enjoy data recovery before you buy. Read-only, risk-free, and cost-effective Windows data recovery software. An easy-to-use wizard, no prior recovery skills needed. System Requirements: Windows 7/Vista/2000/XP." 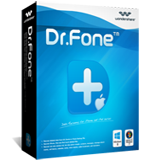 "Recover lost Mac data quickly, safely and thoroughly; Deleted Recovery and Deep Recovery to fully recover Mac data. Recover not only documents, but also photos, videos, audios, and achieves. Preview thumbnail lets you enjoy Mac data recovery in advance. Recover Mac data not only from Mac hard drives but also all most of storage media. Platform of Mac Photo Recovery : Mac OS X 10.5-10.6." "DemoCreator is a powerful yet simple screen recorder program which allows you to capture desktop activities and create video tutorials, demonstrations and presentations without any programming skills. After recording every mouse movement, click and keystrokes, you can easily enhance the videos with notes, callouts and effects such as pan-zoom and animations, and then publish as video, flash-based demos, or LMS compatible packages." 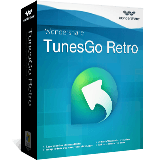 "World��s 1st iPhone, iPad & iPod touch data recovery software for personal users"
Convert and burn all popular photos and videos to DVD easily and fast; Convert all regular SD and HD videos to DVD with high video quality; Create photo DVD slideshow with transition effects and background music; Edit and retouch videos and photo slideshow with built-in editor like a pro; Burn videos and photos to DVD with high burning speed and compatibility. System Requirements: Windows 2003/XP/Vista/ Windows. "Create DVD from all videos with custom menu, subtitles and video effects; Create high quality DVDs from all regular video formats; Make eye-catching DVD slideshow with photos and music; Personalize DVD with fabulous video effects and gorgeous DVD menus; Burn videos to DVD for backup or sharing easily and fastl; System Requirements: Mac OS X 10.5 or later." "Your Photos & Videos, Your Movie Slideshow; Drag-n-drop unlimited photos, videos and music to compose a movie. Customize a DVD slideshow with 130+ 2D/3D transitions/motions. Photo movies made easy using pre-designed Hollywood-like Styles. One-click to burn photo slideshows to DVD for watching on TV. Share high-quality videos on YouTube, Facebook & virtually anywhere. Windows 7/Vista/XP ." "Make photo movies to relive your photo stories; Combine your photos and music into Hollywood-style photo movies easily; Choose from 210+ styles to give your photo slideshow exciting theme. Enjoy and share your photo stories on YouTube, Facebook, iPhone and more. Retouch photos with built-in editing tools or stunning decorations. System Requirements: Windows 7/Vista/XP." 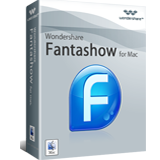 "Wondershare Fantashow for Mac is the digital slideshow builder that lets anyone at home achieve a professional-looking movie in no time. 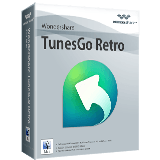 Just drag in your photos, video and music, drop in a few of the array of built-in themes and your memories are transformed into Hollywood-style movies you can share on DVD, YouTube, Facebook, Mac HD, all your iDevices and more." 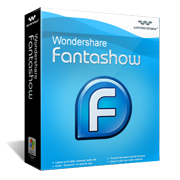 "Wondershare Fantashow for Windows is the digital slideshow builder that lets anyone at home achieve a professional-looking movie in no time. Just drag in your photos, video and music, drop in a few of the array of built-in themes and your memories are transformed into Hollywood-style movies you can share on DVD, YouTube, Facebook, Mac HD, all your iDevices and more." "Impress everyone with 3D gallery & slideshow; Make interactive flash in minutes for business, wedding, love, holidays, etc. Choose from abundant 3D gallery and photo slideshow templates; Design your own template with built-in free resources; Set transition and motion effects to bring still photos to life; Add text, hyperlink, music and decorations to be more interactive presentation; One-click to share flash show on Facebook, Twitter, Myspace, Blog & websites." "Easy yet powerful flash photo slideshow maker; Make flash banner and web photo slideshow within clicks; Select from 60+ free slideshow templates for business, wedding, holiday, etc. Set transition and motion effects to turn still photos animated; Touch up slideshow with animated text, cliparts and animations; Preview and save slideshow as SWF, HTML, XML, EXE and Screensaver; Upload to Online Album or share on Facebook, Twitter, MySpace, etc. System Requirements: Windows 7/Vista/XP/2000." "Instant photo collage & Scrapbook making with creative templates; Simply drag and drop to make photo collages from templates; Select from 200 + free occasional collage templates for wedding, baby, family, etc. Make personalized photo cards, calendars, CD Covers, wallpapers, etc. from templates. Retouch photos with built-in editing tools and decorate collages with rich elements. Share your photo collage on Flickr and Facebook or print it out directly." 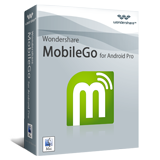 "Wondershare LiveBoot 2012 is your LifeSaver with the complete PC emergency solution! This bootable CD/USB drive allows you to boot up any computer, as well as fix computer booting problems, recover Windows, rescue data, partition or clone disk, wipe data and more, over 40+ utility functions in total. The user-friendly interface simplifies the complicated repair procedures into only a few clicks for both savvy users and newbie. Let your crashed PC easily boot from CD/USB now!" "The easiest way to build your own EPUB eBooks ever; Build EPUB eBooks from 10+ popular formats (.doc, .pdf, .html, .txt, .chm, etc. ); Support merging up to 100 files into a single EPUB eBook at one time; Allow users to customize eBook cover, info, layout, tables of contents, etc. Convert a 500-page document to EPUB eBook in less than 1 minute System Requirements: Windows 7/XP/Vista/2003 32bit only." "Quickly and easily create EPUB eBooks on Mac; Create EPUB eBooks from PDF, Word, HTML, CHM, Image formats, etc. Preserve original text, images, graphics, etc. after creation; Support customizing book cover, info, layout, etc. Able to import unlimited multi-format files at one time; System Requirements: Mac OS X 10.5 or late"
"A Better solution on managing media files, contacts, etc. on PC and transfer them all to your mobile phone"
Do what iTunes can't! Effortlessly manage your iDevice with MobileGo for iOS. "1-Click Phone to Phone Content Transfer! 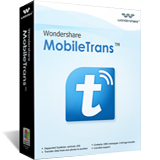 Simple yet effective solution for transferring content between Symbian, Android, and iPhone." ExcitingAds! Inc. �1998- 2017. All rights reserved.